Steins;Gate 0 is somewhat the sequel to the visual novel “Steins;Gate”, due the fact that the storyline is the main part of a graphic novel, it is advised to know the storyline of the previous game. However, this title works fine as a stand-alone game that is also accessible to players, new to the series. Spoiler-alert: we will reveal parts of the storyline of the first game, in order to truly dive into this one. 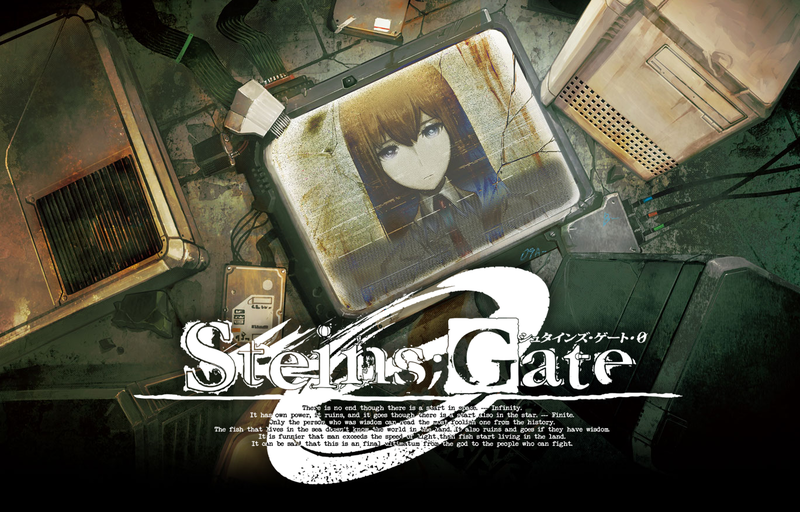 Steins;Gate 0 is situated in a so-called beta world line, created by the fact that Okabe Rintora travels back in time over and over again using Amane Suzuha’s time machine to try and prevent himself killing Kurisu Makise by accident (story from the original game). 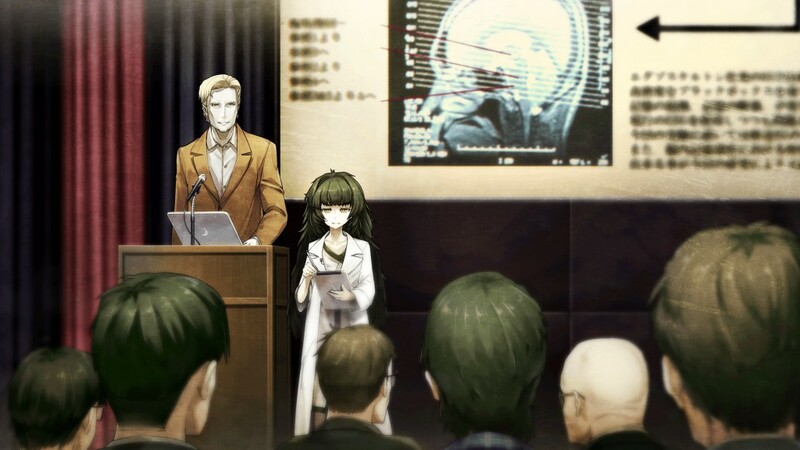 In the ending of the original game, it was made clear that Kurisu lived, thanks to his contraption that allowed for time travelling, creating a happy ending for the main cast. However, for this “sequel”, this ending was changed. After trying over and over again, Okabe gets tired of trying to save Amane and gives up on time travelling altogether. Which means that Amane remains dead, leaving Okabe with a large trauma. Haunted by nightmares due that traumatic experience, the player follows Okabe going to therapy and taking medication to learn to live with this trauma. Characters in-game will make clear that Okabe is nearly a shade of his former self, now walking around with tear-filled eyes. Also, thanks to the choice of not saving Kurisu, there is a very big consequence in the form of World War III. Kirisu was carrying important documents that were stolen after her death. These documents were related to the creation of the time machine and they were the cause of a cold war involving Russia, the United States, and Japan, resulting in the loss of five billion lives. Amane Suzuha decided to time travel from the year 2036 to prevent this World War III from ever occurring, but because Okabe refuses to save Kurisu because he doesn’t want to relive the trauma yet another time. So Amane sticks around trying to convince him all the time. 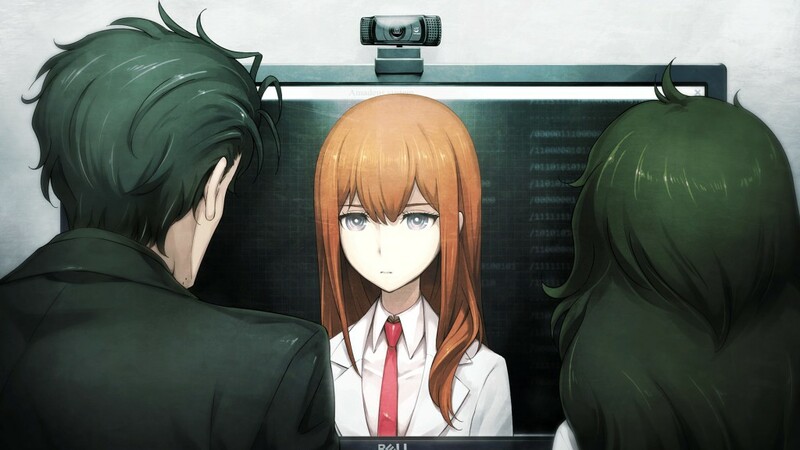 As Okabe isn’t the only perspective we view the story from (the player will often switch between various characters as Okabe, Amane Suzuha and Hiyajo Maho), the player will learn more about the thoughts and lives of the different characters, learning key details about the story. Also, the story starts of very slow in the beginning, as they are trying to give the needed information for people new to the series. . Perhaps the fans of this series will find this a bit boring, but for people new to the series this really is a bonus. The graphics in Steins;Gate 0 are absolutely beautiful, adding to the overall experience of the visual novel. Every character is well-designed and has a full set of animations and expressions, making the novel very movie-like at times. The game re-uses character portraits from the original, which are a little updated, making the game recognizable for players who have played the original. The illustrations are nicely designed as they have a certain oil painting-like vibe. Thanks to this, the game tries to combine the best of both worlds, namely certain fluent and expressive motions you’d see in anime series, but also the great and special artwork that is more common in the original manga counterparts. The soundtrack of the game is magnificent, using typical Japanese music influenced by sci-fi and it’s taking the game to higher ends and is actually enjoyable enough to listen to, on its own, thanks to its variation. The voices are all in Japanese, convincing you to be part of a manga which will probably annoy some people but it really adds to the needed in-game-feeling. Steins;Gate 0 is a visual novel, which might resemble the TellTale Games series a bit, albeit with less keeping an eye out to press the right button at the right time. Story is pretty much all you’ll get, and the game allows you to enjoy it properly, without having to keep an eye out to respond swiftly. The only real part of gameplay involved in Steins;Gate 0, is the use of Okabe’s cell phone. How the player responds to text messages and phone calls will affect the ending of the game. A very cool addition to this phone mechanic is the Amadeus application (comparable with Siri from Apple). It’s not that you have to speak to it through your mic or so, it’s more like an AI-guide through the game helping you with tips and hints. The player’s ending will highly depend on interactions with this app. Sometimes Amadeus will call Okabe and the player will be able to choose to ignore it, or to answer it. Try to respond to it, at all times to keep this AI happy as this will help you finish the game more quickly. This can be very frustrating when trying to achieve the true ending, however the game makes it convenient to try to fix choices due to the generous quick save mechanic. At every important story event, the game will make a quick save to return to if the player wants to re-make his choice. People looking for some action and hard-to-beat games probably better leave this game on the side. 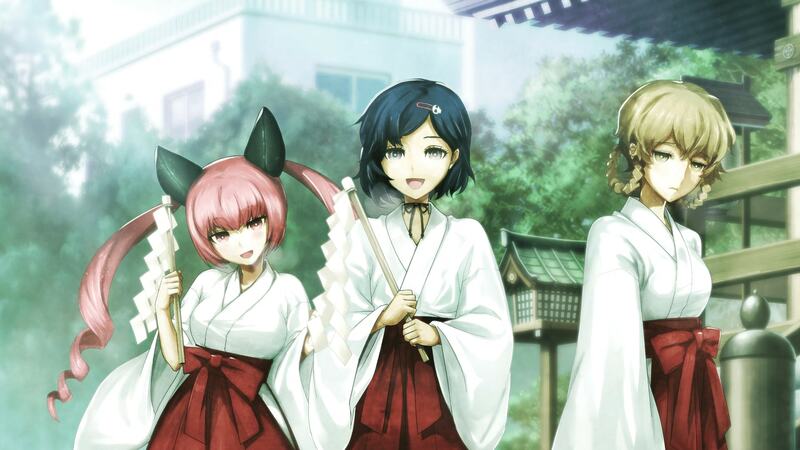 Still, Steins;Gate 0 is a very nice addition to the collection of any visual novel fan, thanks to its rather elaborate and captivating story, its visuals and of course, the original story for fans of the Steins;Gate universe. If you need your fix of the rather wacky Okabe as the anime aired quite some time ago, this one is certainly worth checking out.